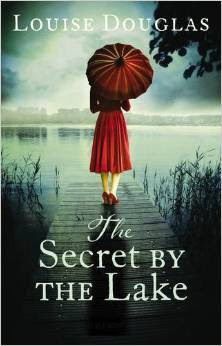 Louise Douglas, an English author, has penned an intriguing tale of historical mystery, The Secret by the Lake that unfolds the story of a nanny living with the Laurent family, but when tragedy strikes, the whole family move from the suburbs in Paris to a countryside cottage in Somerset. And in his village mystery lurks everywhere, before the nanny stumbles upon which opens the door to a hidden past related to this family. Amy's always felt like something’s been missing in her life, but as a nanny for the Laurent family - Julia, Alain, Viviane - she feels complete. So Amy wouldn’t think of leaving them when a sudden tragedy forces them to move from France to the small lakeside cottage in the isolated Somerset village where Julia grew up. Who has a secret the whole village wants kept hidden for ever. Amy has forever served the Laurent family's daughter Viviane as her nanny. But when Viviane's father is killer, Julie and Viviane moves back to Julie's childhood home in Somerset village. This is where Amy hears about Julie 's badass elder sister, Caroline, who disappeared under strange circumstances and Julie does not like to talk about her. Soon, Viviane is haunted by the ghost of Caroline and with their neighbors' secrecy and strange looks. And as Amy befriends the next door neighbor man's son, she is sure that the death of Caroline is something to do with this village. The author's writing style is excellent laced with emotions, fear and suspense. The mystery is gripping and scary and just like Amy's curious mind, the mystery will keep the readers anticipating till the end as it is very addictive and engaging. Caroline's death is a tragedy but how she dies is what composes the whole gripping story line. The narrative is free-flowing, inspired from the local dialect and also from the era the story is set in. The whole atmosphere of the book is very chilly and has an ability to induce fear into the minds of the readers. The pacing is really fast and moves smoothly with the flow. The setting of the book in an old dilapidated cottage is absolutely well captured by the author. The eerie feeling that we get when we enter into an old country side house is vividly captured into the story line and all through out the book with Caroline's ghost lurking in the background, the story gives a frightening feel. The time frame with the then fashion and the changes in the society are strikingly portrayed by the author, and it really feels like we are in a time-warp. The characters are extremely well-developed and highly convincing in their demeanor. The main character of Amy is backed with lots of back story stretching to her sad childhood days, thus letting the readers contemplate with her. Her kind and understanding towards children demeanor shapes up well with the story and the author has perfectly played out well in her heroine avatar, meaning someone who is ready and fearless to take action. The other characters are also very interesting to the very core, especially the character of Viviane and she will make the readers fall for her. Overall, this is a story that will give the readers goosebumps as well as keep them turning the pages till the very end. Verdict: Do no miss out this hair-raising thriller. Courtesy: Thanks to the author, Louise Douglas, for giving me an opportunity to read and review her book. I've always loved reading and writing and all I ever wanted to be was an author. I've had four books published now, the fifth is written and is due to be published in August 2013 and I'm working on the sixth. I live with Kevin in the Mendips, not far from Bristol, a city that I love, and have three beautiful sons. We also have two dogs, Lil and Lola. The Love of My Life is my first book. It was longlisted for both the Romantic Novel of the Year Award and the Waverton Good Read Award. My second book, Missing You, won the RNA Readers' Choice Award, and my third, The Secrets Between Us was a 2012 Richard and Judy Summer Read. In Her Shadow will be published in paperback in the summer of 2013.